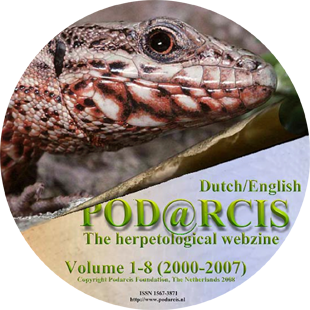 POD@RCIS is a Dutch periodical published in English devoted to terrarium keeping and herpetology. 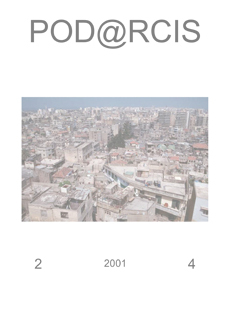 This publication appears only as webzine; a CD with each annual volume may be released, depending on demand. Authors receive the pdf-file of their contribution and can be provided with a print. They are at liberty to distribute these on a non-profit basis among interested individuals. Reproduction of articles, or parts thereof, published in POD@RCIS is otherwise only allowed with the written consent of the chief editor. Articles considered for publication concern reptiles, amphibians and terrarium techniques. There is a preference for articles on reproduction, behaviour and ecology. 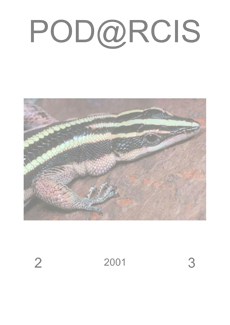 We also welcome student reports on herpetological subjects. 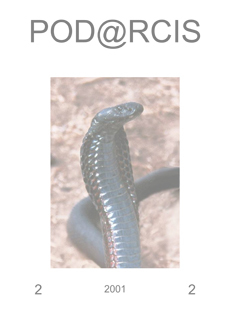 New names and nomenclatural acts within this publication are intended to serve as a permanent, public scientific record as laid out in the International Code of Zoological Nomenclature. Identical copies on cd-rom have been deposited in the libraries of the National library of the Netherlands, Naturalis (Netherlands), Natural History Museum (Great Britain), Zoologisches Museum und Forschungsinstitut A. Koenig (Germany), Museum national d`histoire naturelle - Laboratoire Reptiles et Amphibiens (France), Zoological Institute Russian Academy of Sciences St. Petersburg (Russia), National Museum of Natural History (USA), Peabody Museum of Natural History (USA), Royal Ontario Museum (Canada), Hebrew University of Jerusalem (Israel), Razi University Kermanshah (Iran), Raffles Museum of Biodiversity Research (Singapore), Bayworld (South Africa), and Museu de Zoologie São Paulo (Brazil). POD@RCIS is indexed in Zoological Record. 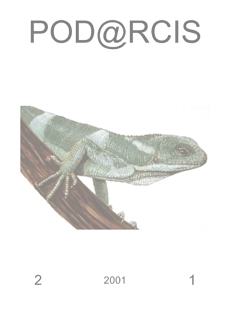 POD@RCIS is published by the foundation Podarcis, dedicated to the publication and distribution of herpetological information (Chamber of Commerce Rotterdam registration 24303166). Sergé Bogaerts, John Boonman, Jan Boonstra, Tjaldo Brandenburg, Henrik Bringsøe, Hellie Klaasse. External advice is requested on a regular basis.